Objective: Identify and use the correct hand signals when working under noisy conditions. Demonstrate the signals in your tailgate presentation. 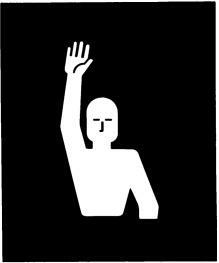 Have someone else discuss how to perform the signal while you demonstrate the hand signal. You could post the hand signals in the coffee room or near a water fountain. This will allow employees to see the signals every day. 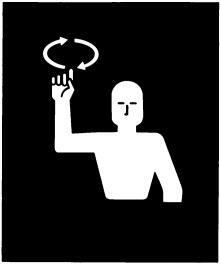 Hand signals are ideal for communication around noise. 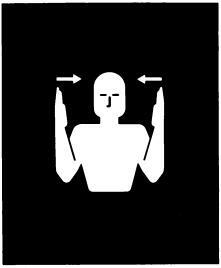 Hand signals provide a way to communicate needed information effectively in a noisy environment. All workers should learn and use these signals. 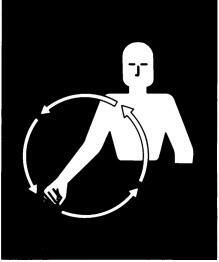 Hand signals reduce severity of injuries. Hand signals lower the risk of fatality. Hand signals communicate well in noisy environments. The American Society of Agricultural and Biological Engineers (ASABE) has adopted 11 uniform hand signals for safety. The signals help workers communicate in the same “language.” The chart below shows the 11 signals. 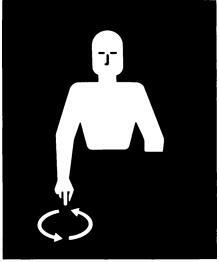 With each hand signal there are detailed instructions for performing the signal. 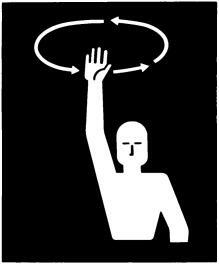 Raise the arm vertically overhead, palm to the front, and rotate in large horizontal circles. 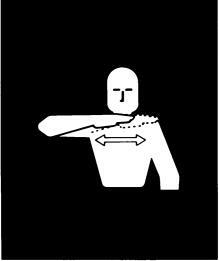 Point toward person(s), vehicle(s), unit(s); beckon by holding the arm horizontally to the front, palm up, and motioning toward the body. 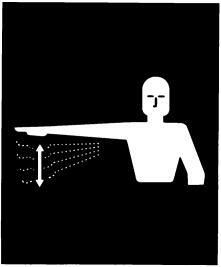 Place palms at ear level, facing head, and move laterally inward to indicate remaining distance to go. Raise the hand upward to the full extent of the arm, palm to the front. Hold that position until the signal is understood. 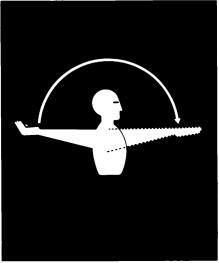 Extend the arm horizontally sideward, palm down, and wave arm downward 45 degree minimum several times, keeping the arm straight. 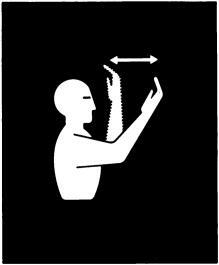 Do not move arm above horizontal. Raise the hand to the shoulder, fist closed; thrust the fist upward to the full extent of the arm and back to the shoulder rapidly several times. Face the desired direction of movement; hold the arm extended to the rear; then swing it overhead and forward in the direction of desired movement until it is horizontal palm down. 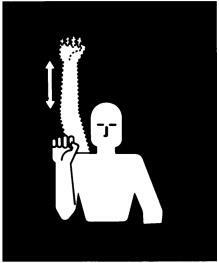 Hand signals are an ideal communication tool for noisy situations. There are 11 ASABE uniform hand signals. Hand signals help save time and prevent incidents. Using hand signals could save a life. Review each signal with employees.